Launching applications and documents is part of our daily computer life, and digging through piles of files and folders to find items that we want to launch is often a tedious job. 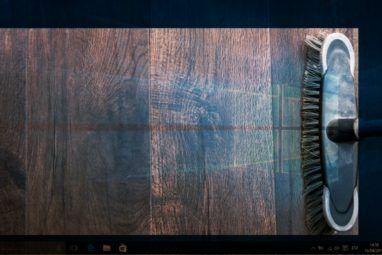 Even though the Start Menu and Windows Explorer do their job well, most users could use a faster locate and launch method. 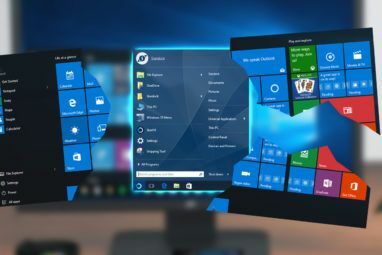 That’s why application launchers Top 7 Unknown Free Launcher Applications for Windows Top 7 Unknown Free Launcher Applications for Windows Read More are often popular. Most launchers work the same way – open the launcher, type in the application’s name, and hit Enter to launch the item. There are many launchers available out there using this method. But if you are willing to try a different approach to launch applications faster, you could try MadAppLauncher. This application will help you launch anything in three strokes or less. After installation, MadAppLauncher will reside in the System Tray. Clicking on the icon or pressing the shortcut key combination will launch the program’s main window. You can assign a new shortcut key combination if you want to. The first thing you will notice about the app is the rows of boxes and tabs. MadAppLauncher takes a different approach than the other file launchers. Instead of letting users type the name of the apps they want to launch while keeping the display as minimal as possible, this mad launcher will display everything in rows of boxes and let users pick one to launch. The system works like this. You put something in one of the boxes, and you can quickly launch it by pressing a keyboard button related to that box. For example, if you put Notepad in box B, then you can launch Notepad by pressing the B button on the keyboard. All you need to do is populate the boxes with the items you want to launch. The boxes are grouped under tabs. There are 10 tabs and 30 boxes in each tab. So you have 300 boxes in total. That should be enough to contain everything you need. 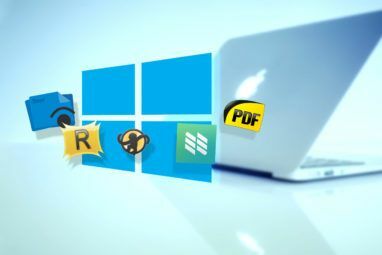 While this system is more “maximalist” than the usual approach, the system becomes very effective when you need to deal with a great number of applications, files and folders because you can launch an application faster than the common launchers. Add the “Target” by clicking on “Browse” and locate the file you want. Select the item, and all the other fields will automatically be filled in using the default settings. You can customize the fields if you want to. The “Appearance” tab will let you set where and how the launched window should be displayed. For example, you can set that a certain document will always be opened on the left side of the screen and the size at a quarter of the screen. As an experiment, I assigned box A to Audacity. So everytime I need to open Audacity, all I need to do is to open MadAppLauncher and hit “A” on the keyboard. MadAppLauncher itself can be summoned by a customizable shortcut key combination. To do the customization, go to “Settings – Hotkey“. The default hotkey is “Control + Oemtilde“, but you can change it to your own combination. In case you are wondering (like I did), oemtilde is this sign: “~“. If you want to avoid an accidental launch, you could set MadAppLauncher to perform the task only when the assigned key is pressed twice. You can do this from the “Options” window. To better organize the launcher, you can assign different tabs to contain different kinds of items. For example, one tab for audio applications, one for games, another for work documents, etc. Then right click on the tab, choose “Edit“, and give the tab a name. You can move between tabs easily by pressing the number keys (1-9 and 0). To speed up the tab switching process, put a number in front of each tab name so you know immediately what number to press for each tab. So instead of naming the first tab “Audio“, name it “1Audio” for example. To hide the MadAppLauncher main window away after launching an item, check the “Auto Hide” option under the “View” menu. What do you think? Do you like MadAppLauncher method or do you prefer a normal launcher? Share your opinions in the comments below. Lost a file? Don't be upset. Anyone notice the similarity to Alladin's "DragStrip for Windows" which was last released in 2001, and I've been using daily since well before then? MadAppLauncher doesn't yet have the full functionality of DragStrip, but shows promise... If it keeps evolving I may one day replace my usage of DragStrip. Haven't tried DragStrip. Thanks for sharing. I plan on using this pgm. Version 1, means there is opportunity for updates, hopefully. I could use a sort function to keep pgms alphabetical. I've used a 2-3 character system and it definitely helps, but you can achieve this same effect with some additional search/launch features using your plain old windows menu. Example "Microsoft Visual Studio 2010 (VS)"
This also works really well with Launchy if you point it at your start menu (this may be the default?). Both Launchy and the Start Menu add searching, launching options and are more intuitive as you can type the full name if you forget the abbreviation. There is something simple out there...small size called TypeItIn..which shows buttons for each app and can be helpful for running macros or auto-typing templates or other purposes too. Installed it. Looks simple and nice. Now, all I have to do is figure out how to populate the 300 boxes :) I can't seem to find a way to launch folders yet though. looks promising, thanks for the review, heading their straightaway.